Cianna Rose is a self taught artist, having studied extensively at the School of Hard, Medium and Soft Fuzzy Knocks. (She prefers the fuzzy). Her artwork has been shown and sold online, at art walks, fairs and festivals, as well as fine boutiques across the US. Ms. Rose is a friendly hermit with a creative spirit who enjoys exploring new mediums and methods, while retaining a distinctive signature style. She works primarily in – but is not limited to – watercolors, metallics, gouache, aquarelle, and India inks. The driving force behind her work is an ongoing expedition to the place within us all that still believes in The Possibility of Magic. Seeking entrance through a hidden doorway, she glimpses a kinder, more playful reality, as her imagination leads her to create artwork that encourages people to stop and smile. Cianna deeply appreciates the souls who share this journey, delighting and finding inspiration in those who take the time to explore, enjoy and collect her whimsical creations. With bright wishes, she welcomes YOU to do the same…. All Images copyright 2012 © Cianna Rose. All Rights Reserved- Copying, altering, editing, displaying or redistribution of any of these images without permission is strictly prohibited. 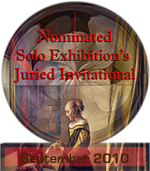 HAPPY NEWS, MY WORK HAS BEEN NOMINATED FOR SoJie 7! Homepage feature & other wonderful happenings!